If you were going to travel the world, who would you bring? Your partner? Your best friend? Or what about a pet? 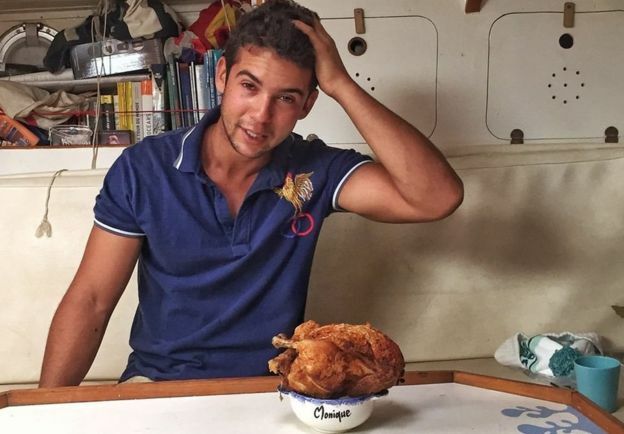 If your name is Guirec Soudée, then you’d bring your pet chicken along. Wait, what? 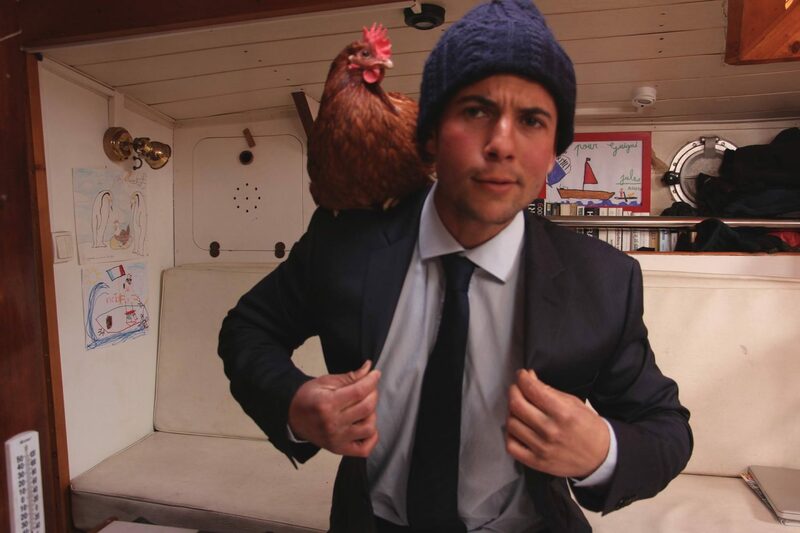 That’s right, Guirec from Normandy in Northern France, is travelling the world with his pet hen Monique. Initially, he planned to bring a cat along for his round the world trip, but settled on Monique as hens need little looking after. I thought about a cat, but decided it would be too much effort to look after it. Plus, there’s the added bonus that they lay eggs. However, a hen is hardly the most obvious choice, considering Guirec’s plan was to sail around the world. Fortunately for Monique, Guirec has brought a hutch along to keep her safe in rough weather. The unlikely pair have already clocked up a large number of miles, having departed from the Canary Islands off the coast of Africa, heading across the Atlantic to the Caribbean, before sailing north to the Arctic. As far as travel companions go, Monique asks very little and rarely complains about travel conditions. Plus, she lays an average of six eggs per day – impressive considering the potentially stressful conditions – giving Guirec a daily choice between fried, scrambled, poached or hard-boiled. Fortunately Monique isn’t a fussy eater, mainly living off grain, corn, and the occasional fish. “She’ll eat absolutely anything”, admits Guirec. After exploring the Arctic, Guirec and Monique are planning to travel down the Bering straight to Alaska, and from there, who knows where else? We’re not sure yet,” Guirec says. “We haven’t talked about it yet, but we will. Follow Guirec and Monique’s adventure on their blog Voyage D’Yvunec, Facebook and Instagram, or catch up on some of the highlights from their trip so far in the video below! I literally cannot cope with this! So funny.